Sophisticated bikes made by the developer of Kickstarter that can be connected with smartphone. Through the handset, the driver can see the bike an average rate of speed bicycle and travel time to their destination. 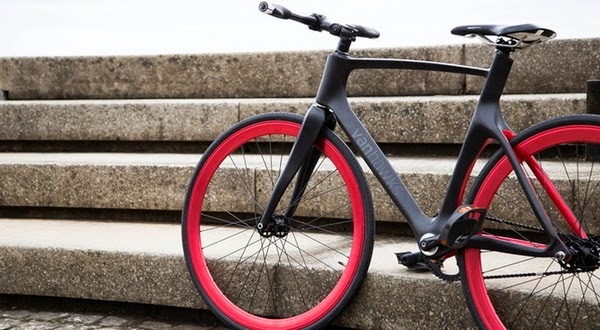 As reported by Mashable on Thursday, May 15, 2014, a smart bike called Vanhawks Valour may be connected with a smartphone application. This bike can bring technology similar to GPS via bicycle handlebar controller. The concept of innovation in this bike helped riders to stay focused while on the road. After going through the settings on the smartphone, if that location requires motorists to turn left, then the lights on the left handlebar will turn on. This bike campaign has gained the support of more than U.S. $400 thousand. Initially, the developer is targeting to earn U.S. $100 thousand. Wikipedia explains, Kickstarter is a funding platform common to help present creative projects for human life.